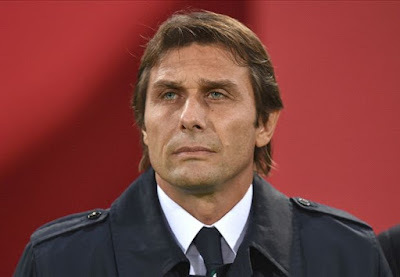 Not for the first time in the workaholic's career, Antonio Conte is a desired man. He thrives on showing greater commitment than any player to develop beneath him and exceeded the expectations of any director to have employed him. Chelsea are now expected to announce him as Guus Hiddink's successor within days. Marco Verratti insists the Italy head coach is the best he's ever worked for, while Andrea Pirlo struggled to ever disagree with him. Paul Pogba's acceleration within the world game was largely because Conte never distinguished between youth and experience; whoever had earned their place was then handed the honour of striving to keep it. His managerial career started with Arezzo in July 2006, but he was sacked by the Serie B side three months later after a dismal run. He was reinstated in March the following year and achieved five wins in a row, yet then miserably led them to relegation. After one draw, he claimed his players "were lacklustre, without aggression... played as if they were confused". They were some of his tamer comments. Conte has always been vocally critical, but it's little surprise some of the most wondrous players he's commanded have been among those speaking highly of him. He gets through to winners. That's most appropriately demonstrated from his time at Juventus. There, he revived the Bianconeri, restoring them to the zenith of Italian football, with three consecutive Scudetti between 2012 and 2014. Conte is incurably stubborn, however. As Chelsea's fixtures mount up and tumble into one another, Conte and his exhaustive method of play could be exposed. He wears players down to the bare bones. It may be too demanding as league and cup matches roll in thick and fast. He was criticised for not taking more of a gamble when it came to calling up new faces to the Italian national team, and his stoic approach left little room for versatility, freshness and, frankly, a bit of interest.